DALLAS, Texas, Jan. 4 (SEND2PRESS NEWSWIRE) — Cogent Technology Group announced today that they are now offering a Data Distribution Service (DDS) of ERCOT Nodal data to market-participants in the ERCOT service region of the Texas electricity market. The service utilizes Cogent’s Data Flow Manager (DFM) software to manage the extract data made available to market-participants on the ERCOT MIS portal. Cogent will maintain databases containing extract data for each market-participant client and will distribute new extract data periodically to the client in reports that are either emailed or made available via FTP. Cogent’s DDS service is a software service that is hosted in their Atlanta data center. ERCOT market-participants, who include Qualified Scheduling Entities, Load Serving Entities and Retail Electric Providers; subscribe with ERCOT for the provision of the data extracts and present Cogent with the needed digital certificates that provide access to ERCOT’s data-download API on their behalf. The DDS service manages the periodic retrieval of any or all of the market-participant’s many data extracts which are available on ERCOT’s data portal. After download, the data is loaded into an ERCOT-defined database schema that is specific to the particular extract. The DFM dashboard, which provides the user with a centralized view of the daily file-transfer and data-load activity, is a Web application accessible from any client computer on the public Internet. Specific extract data that is of interest to client personnel can then be queried and exported for local processing using canned reports developed by Cogent and made available for use on their Reports Server. The distribution of these reports, via email or FTP, can be set to run automatically on a regular schedule that is selected by the client. “We are quite pleased by the significant productivity increases that the DDS service can bring to an ERCOT market-participant regardless of the level at which they operate – retail or wholesale. Our hope is to introduce this service in all deregulated energy markets across the country,” said Steve Redekopp, Director of Operations at Cogent. Cogent Technology Group specializes in custom software and software consulting services for market participants operating in the deregulated energy industry. Cogent’s software professionals have the experience needed to help energy marketers and wholesalers navigate the challenges of the industry by providing cost-effective solutions that reduce operating expenses and increase organizational efficiency. 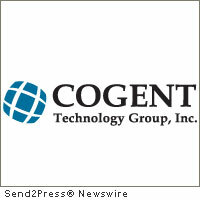 In addition to the Data Distribution Service and the Data Flow Manager product, Cogent currently offers an Energy Marketer Data Reconciliation System software product for validating ERCOT SCR727 settlement data against billing data; a Sales Commission Manager software product for managing the generation of residual sales commissions; and their DealFlow Sales Automation solution for automating the pricing of sales quotes along with the creation of retail energy contracts. For more information, contact Austin Pitt at mailto:austin@ctginc.biz or visit http://www.ctginc.biz . Alternate Headline: Market-Data Distribution Service in ERCOT Service Region offered by Cogent Technology Group, Inc.